I don't like considering anyone "untouchable"...but on the Blues roster, Parayko is about as untouchable as it gets. Even though Larkin is having a very nice season, plus the fact we need a boost on offense, I still wouldn't trade Parayko for him...and it's not a tough decision. That's not a knock on Larkin by any means though. It's just that I think that highly of Parayko. Parayko reminds me of Pronger in a way, without the mean streak of course. When he is on the ice, he controls the play. He's so big and technically sound. But he's also really mobile and fast...and he is as offensively gifted a defenseman as you will see at his age and he is a fantastic stickhandler. Parayko has been our best all around defenseman. He does it at both ends of the ice. He has been better than Shattenkirk and Pietrangelo...and it's not even close. Assuming he progresses as hopes, he could easily be a Norris caliber guy in a couple years. I really don't have anything bad to say about the guy. He has been fantastic...but like the OP said, he is a defenseman...plus Larkin, Panarin and some others are having good offensive years (having Kane on your line helps Panarin, but that guy is good anyway), so Pararako likely won't get much consideration for the Calder, even though as of right now, him not being a finalist should be a crime. Now, if you want a defenseman and want to offer Larkin, maybe we could work out a package deal that includes Pietrangelo? Let's make this happen. You see no issues with the goal? The refs do not give warnings. If a player plays a puck with a broken stick, and the ref sees it, it is always a penalty. ALWAYS. Even if the player doesn't know the stick is broke. They may yell at the player to drop his stick immediately (because the player might not know it is broke) and if he doesn't drop it right away, it is a penalty...but there is never a warning given. A player can't even skate around with a broken stick. He has to drop it immediately or it is a penalty. It doesn't matter if the play happened fast or not, or if he was slashed or not (he wasn't), the correct call is still a no goal and a penalty. 2017 Winter Classic Red wings vs. Blue Jackets? Pietrangelo? Our biggest star? Nope. Why do people think that? Tarasenko is our biggest star right now. It's not even close really. Petro was supposed to be our biggest star by now as there was a ton of hype around him and he got off to a nice start his first year or two, but he hasn't played that well the last two seasons at all. He has played better of late though, maybe the last 8 games or so...but some think that is a byproduct of the team playing really well around him. Petro isn't even our best defenseman. That honor belongs to Shattenkirk, who is having a great year and has been very good for us ever since we acquired him from Colorado in the Erik Johnson trade. I'd put him behind Bouwmeester as well on our depth chart, even though a lot of people think Petro is our top D-man, when that just isn't the case right now. He plays against the other team's top lines and get's #1 minutes...but trust me, he isn't a #1 guy right now. He'll show flashes of great play, then make a bonehead mistake that leads to a goal. It happens a lot. He really needs to find some consistency in his game. The talent is there though, no doubt. The Rams play indoors. So that isn't a possibility for an outdoor game. The venue would be Busch Stadium if it was held in St. Louis. Really? The winter olympics...the shootout in the USA vs. Russia game when Oshie took like 8 (or however many) shootout attempts in a row. That doesn't ring a bell? It was a pretty big deal. Let me ask you guys this... Over at my forum we've talked for a few years now about how we'd really like to see the Blues get into an outdoor game. In our biased view, it seems the Blues are a no-brainer to be in one of these things (especially since Detroit, Chicago, Pittsburgh, etc. have all been in multiple games already), but it just hasn't happened yet. Our reasoning... We have the household name in Oshie because of the shootout in the Olympics vs. Russia...so there is a storyline there. We have the budding superstar in Tarasenko...another storyline, and a player that would certainly draw international viewers. We are a high scoring team, so that would be a plus for viewers. St. Louis is one of the best teams in the NHL and has been for a few years now. We have the stanley cup winning coach (not that that means anything for the outdoor game...but it's something). We have some heated rivalries with Chicago, Detroit (much lesser now that you guys are in the East) LA ...and now Nashville. Our rivalry with Chicago is brutal...which you guys are familiar with as they are/were (still are?) your biggest rival as well. The Blues have traditionally faired very well in the ratings in games that are televised nationally. I think a Blues - Hawks outdoor game would be killer...and that probably should have happened this year instead of Washington being in it. That makes no sense. I get that Washington was promised an outdoor game that they could host, (for some reason), and they got one...but against Chicago? I think that was a waste of the Hawks...and now they won't be in it for at least a few years. They should have saved the Hawks for a Blues - Hawks matchup next year, or had the Blues in it this year and let Washington host a stadium series game this year or next. What do you guys think about the Blues being in an outdoor game? Is that something that you would like to see? And if so, who would you like to see them play? I'm curious to what other fans think about that. They say that Colorado and Minnesota are going to host next year's stadium series games, with their opponents yet to be announced. The Blues could be announced as the opponent in either of those games...and a Blues - Wild outdoor game has been talked about before, which I'd be happy about, but I would question why the Wild and not a real rival. I still like the outdoor games and I'm really looking forward to Montreal @ Boston next year. That one is a great matchup that was long overdue to happen. It really should have been one of the first ones. Maybe I'll check in every now and then. But only if I get to subtly rip on the Wings a bit. Ha! 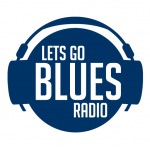 I haven't been here because there hasn't been much Blues-Wings stuff to discuss since you guys moved to the East. But I was bored so I decided to jump over and see what you guys had to say about the game. I haven't even visited in a while. My generalized and overall obvious take on the game... The Blues deserved better. They really controlled play the first half of the game and didn't let Detroit do anything, but Mrazek played really, really well. He made some huge saves. Including a great blocker save in OT. That was impressive. Wings came on in the 2nd half of the game and played much better than they did early. Elliott gave up a softy to Datsyuk in OT. Unless he was partially screened, he really should have had that one. That kind of goal is uncharacteristic of him as he's been great this year. Had the game gotten to the shootout (which it almost did)...I liked our chances with how well the Blues have done in shootouts and how poorly Detroit has done. But I had a bad feeling when the clock ticked down under 10 seconds in OT. I just had a feeling Detroit was going to score. I can't complain too much though, as we did score with less than a minute to go to force OT, so we came real close to coming away with nothing. With how tough the Central is, I'll take it and move on. Congrats on the win. Maybe we'll even the score in Detroit later in the season. Maybe a nice 10-3 Blues win like the one a few years ago in Detroit? I'll take one of those. Signing a player to a contract like this based on expectations he hasn't achieved yet is risky. He had a down year last year and I was hoping he'd sign for no more than $5.5 million...but we'll see how he plays this year. in a couple years this contract could be a steal...or it could be one that they are trying to get out of if he turns into the next Erik Johnson. I'm optimistic he'll turn into a superb d-man...I just wanted him to prove it on a consistent basis before he got a big contract. My brother has a red light that looks just like a goal light, it spins and whatnot. He has it hooked up to The Clapper, so when there is a goal and someone claps or even a loud, sharp "YEAH!! ", it goes off. Pretty cool...and not much $$. If I were Backes, I don't think I'd want to contact the guy either because he was constantly whining about the play to the press, calling me a dirty player, etc. I think I'd just leave it alone because he doesn't want to talk with me. But I honestly do not care. It's a hockey play that had an unfortunate outcome where someone got hurt. It happens. Hockey is a rough game. Here is what Backes said concerning the aleged commment during the next game: So it's just a question of who you believe on that. And you have made it clear who you believe. And you are correct about Backes not playing the puck. The puck may hit off of Backes' stick, but he wasn't playing it. For some reason I thought I saw Backes take a swing at the puck, but that wasn't the case. With that said, the puck was in Sprunger's skates...so he was fair game to hit. Because I like to debate. Isn't that obvious? Yeah, I dunno...the Sprunger hit isn't a great example to try and prove Backes is a dirty player. It was a fast, bang, bang play where the players went into the boards goofy, with the puck right there. That was just an unfortunate play for Sprunger. Hockey is a violent game. Players get hurt sometimes, especially if you have your head down. It doesn't automatically mean the guy who dished the hit out is dirty. A penalty for a hit to the head, sure...but I don't even think Backes had time to think about it as he was playing the puck a millisecond before he collided with Sprunger. Well, I never said it cost the Blues the game, that would imply the Blues would have won if no penalty was called...which we'll never know. Detroit may have still won the game, but the penalty ended up leading to the game winning goal...so yeah, Detroit was handed one there. But as far as blame goes...yeah, Walsh was to blame 100%. It was just a bad call. I'm not sure how anyone can say they don't blame him when he is the one who messed up. The Blues will have their chance for redemption quickly... we play each other again on Thursday. I'm kinda liking this short season. Lots of division games close together. Interference? Tripping? And how again is that "goon hockey"?